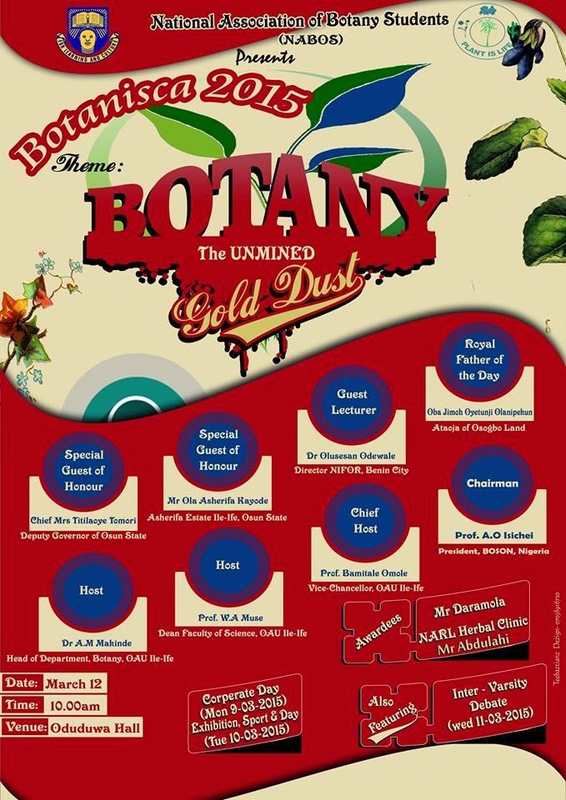 The students of the Department of Botany, Obafemi Awolowo University under the ages of National Association of Botany Students' (NABOS) are in for it again this year as they roll out schedules for this year’s BOTANISCA week. BOTANISCA which had its maiden edition last year with a scintillating and educative event held at Oduduwa Hall is now here again. BOTANISCA 2015 has a lot of programmes lined up for the event including an Inter-varsity Debate (featuring UNILAG, KWASU, EKSU, UI, WUSTO, FUNAAB and host OAU), Inter-Class Football League, Public Lecture and Award Ceremony. 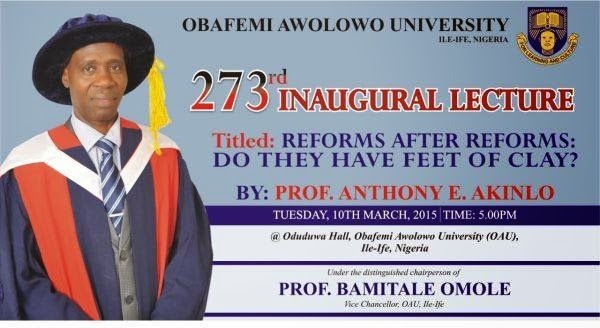 The 273rd Inagural Lecture of the Obafemi Awolowo University, Ile-Ife, Nigeria will be delivered on 10th of March, 2015 by Professor A.E. Akinlo. Professor Anthony Enisan AKINLO is a Professor of Economics, with a PhD in Monetary and Development Economics from the Obafemi Awolowo University, Ile-Ife, in 1995. He joined the services of the University in 1990 and rose to the rank of a Professor in 2000. 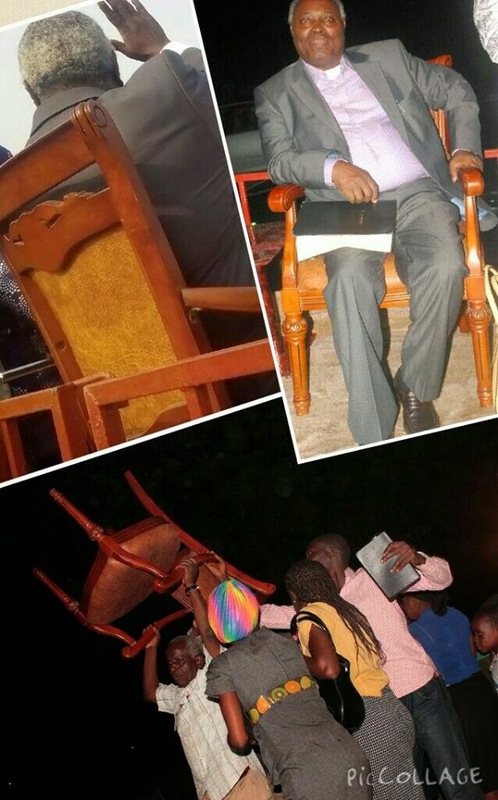 He has over 100 publications in the areas of reforms and growth. 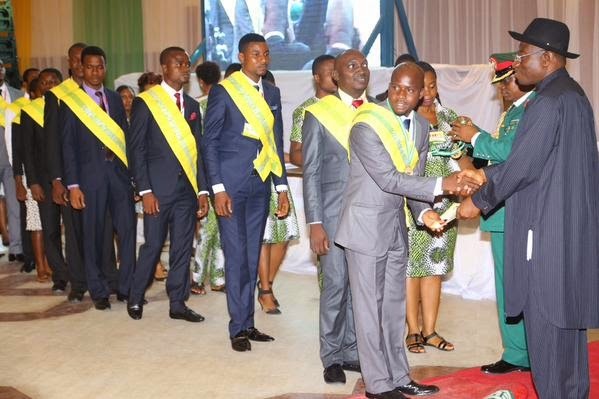 One hundred and sixty four winners of the 2012, 2013 and 2014 batches of the National Youth Service Corps (NYSC) Presidential award were Monday morning offered automatic employment by President Goodluck Jonathan. 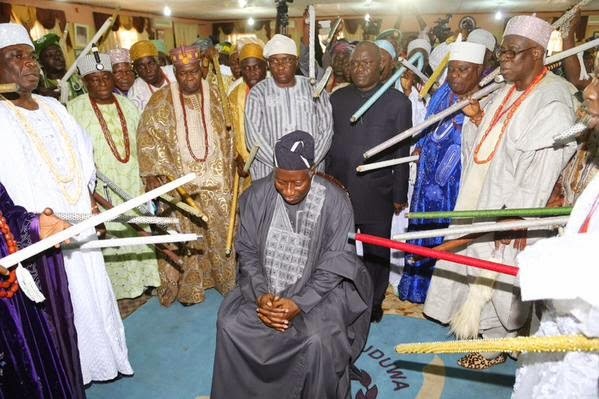 In a ceremony to confer the award on the winners, President Jonathan also announced automatic scholarship for any of the 164 award winners that wish to further his or her education. A total of N23.5 million cash was also raised for nine corps members who sustained injuries during their service years. N5 million was donated by Ibeto Group to one of the nine injured corps members who could not attend the event because of her injury. While Akwa Ibom State governor, Godwill Akpabio donated N5 million to the nine corpers, Heritage Bank donated N1.5 million to each of the nine corpers. 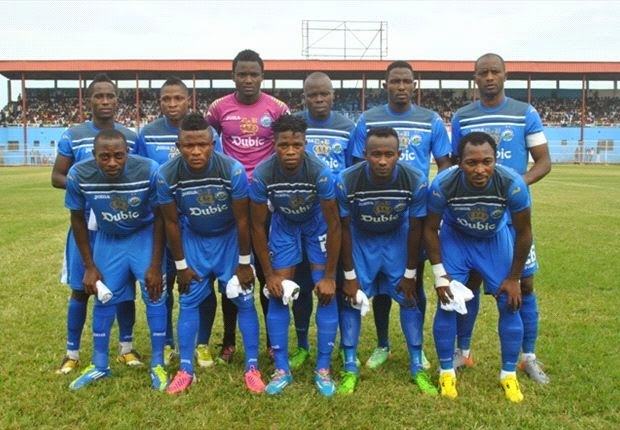 Enyimba will face Smouha Sporting Club of Egypt in the first round of the Caf Champions League after seeing off Buffles de Borgou of Benin Republic 4-0 on aggregate in the preliminary round fixture concluded on Sunday evening in Cotonou. 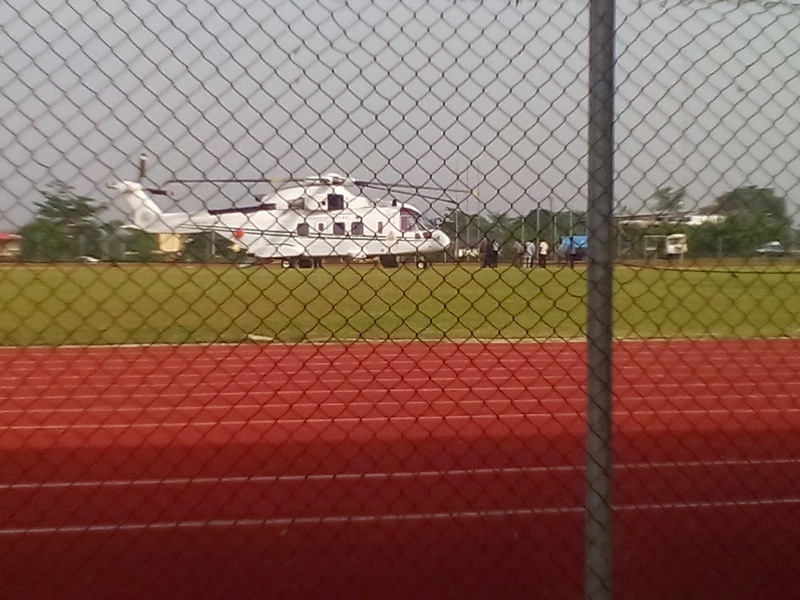 The Aba Millionaires had already beaten Buffles 3-0 in the first leg played in Aba two weeks ago but the threat from the Beninois side that they would overturn the deficit meant that Enyimba went into the return leg with anxiety at the Stade de l'Amitie de Kouhounou in Cotonou. The hosts had the better of the early exchanges in the first half and in fact Enyimba had to rely on the good reflexes of their goalkeeper Chijioke Ejiogu to deter Buffles from scoring an early goal but things changed for the better for the visitors in the second half. 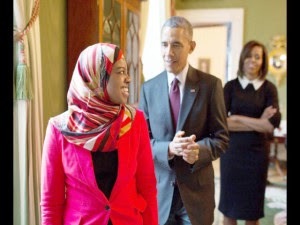 Nigerian genius, Saheela Ibraheem, 19, made history On Thursday, February, 26, when she was honoured with an official reception in the White House by the US President, Barack Obama and the First Lady, Michelle. Saheela Ibraheem got into the Ivy League Harvard at the age of 15, where she is currently studying neurobiology — a branch of science that studies the brain — and has been listed among the “World’s 50 Smartest Teenagers.” She was also accepted for admission by 13 other top colleges in the United States, including the MIT, Princeton, Columbia, and six Ivy League institutions, choosing Harvard, she became one of the youngest students to ever attend the university. She will be graduating in May this year.